Lynne A. 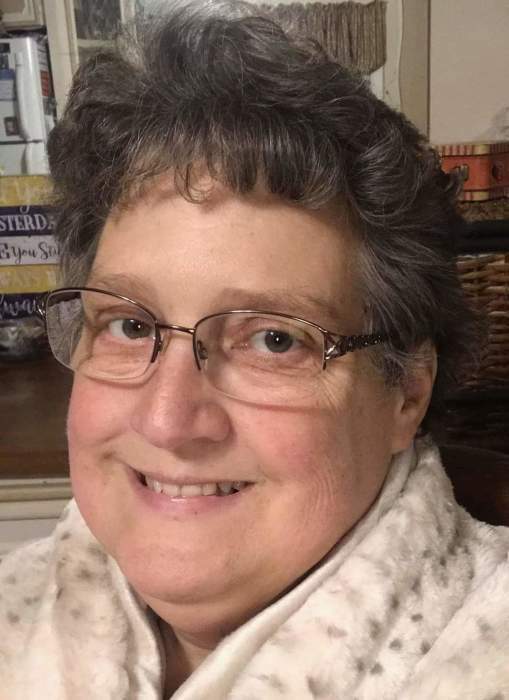 (Frankki) Colford, 53, of Royal Center passed away at 12:39 p.m., Tuesday, January 15, 2019 at Logansport Memorial Hospital. Born on May 30, 1965 in Ogema, Wisconsin, she was the daughter of George and Diane (Rademacher) Frankki. She was a West Central High School graduate. Lynne currently worked in the cafeteria at Pioneer Jr./Sr. High School. She also cleaned the Royal Center United Methodist Church. Lynne attended Lifegate Church in Logansport. She enjoyed her cats and parakeet’s over the years but spending time with her grandchildren is what meant the most to Lynne. Survivors include her children, Matthew Colford (Tabitha) of Royal Center, Nathaniel Colford (Alicia) of North Carolina, and Sabrina Colford (Brittney) of Logansport, her parents, Diane and Larry Disinger of Francesville, brother, Beau Disinger of Francesville and her grandchildren, Cailyn Colford, Conner Colford and Ian Sparger, sister's in law, Nancy Colford of Wisconsin and Nina Colford (Gene) of Royal Center and brother's in law, Tim Colford (Colleen) of Wisconsin, Steve Colford of Logansport, Scott Colford of Logansport, Dave Colford of Logansport. Lynne is also survived by numerous nieces and nephews. She was preceded in death by her father, George Frankki and sister, Laura Fox. A memorial visitation and gathering will be from 4:00 to 6:00 p.m., Friday, January 18, 2019 at Harrison-Metzger-Rans Funeral Home & Crematory. Memorial contributions may be made to the Cass County Humane Society.